The Knox County Ohio real estate market is off to an impressive start and January 2015 will likely surpass January of 2014 based on the number of residential homes SOLD. Home sales are not the only segment of the market showing positive signs because the number of homebuyer inquires who are calling and emailing us about our residential listings are much higher than last year. 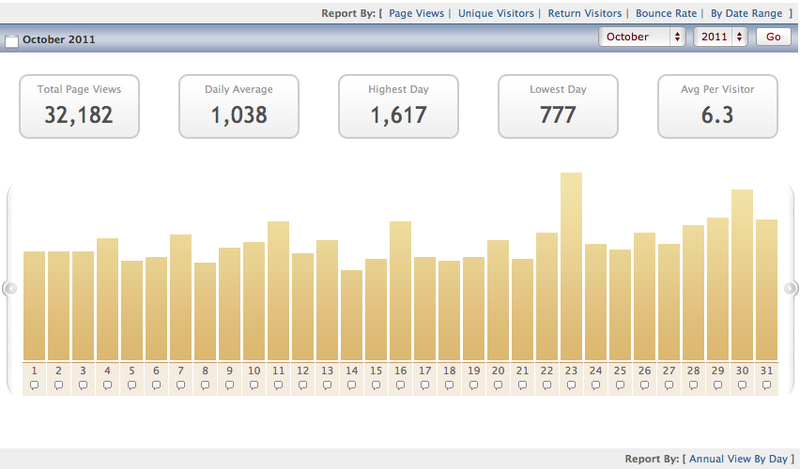 Our online website property views on knoxcountyohio.com are also on the rise with many days in January receiving more than 1,000 listing pageviews in a single day. The graph below is a residential market report that highlights some very key Knox County Ohio real estate market data. Currently there are 210 active residential homes for sale and there are 28 pending sales being reported and there is a strong likelyhood that there are even more pending sales than the 28 being reported here. During the last 6 months there have been 235 homes within Knox County Ohio that have successfully sold and 188 that either expired or were withdrawn from the market (this number is pretty typical once school starts and going into the winter months). Take a close look at the columns on the left and you will see that we have broken down each price range for you. This is especially helpful beause it you look across the column you will see that we also list the number of available homes specifically by each price range. As you look further to the right you will see we have also listed the number of pending sales, expired listings and how many have SOLD in each price range over the last 6 months. This info helps us determine which price ranges will see increases in pricing and which ones have an oversupply of available home because when this happens these homes tends to sell slower (think of it as more sellers than buyers). The column to the far right shows how many months of available inventory is currently available in each price range. You can also see each of these columns are highlighted by a specific color and the meaning of each color is describled at the bottom of the graph (favors buyers, neutral or favors sellers). 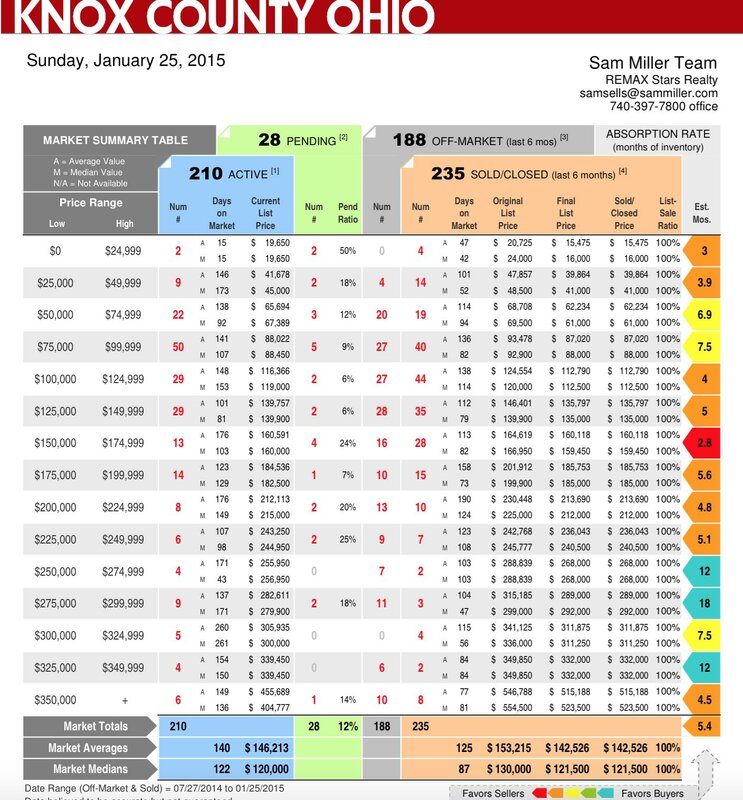 You will notice that the $150,000 to $174,999 price range has a red highlight which means that this price range is hot, these homes have been selling extremely well and there isn't much available listing inventory. If you look closer at this column you will see that there have been 28 sales in this price range within the last 6 months and there are only 13 available for sale today which means there is a shortage. If you look at the $275,000 to $299,999 price range you will find the exact opposite and this price range is flat today. There is currently an 18 month supply of available homes. Only 3 homes in this price range have SOLD during the last 6 months and there are 9 currently for sale and during the last 6 months there were 11 homes in this price range that failed to sell. Be sure to check out the specific column that most closely matches your desired price range so you will have an insiders view of the current Knox County Ohio housing market. Our team would love to answer any questions you might have about the Knox County Ohio housing market so feel free to call or email us at anytime. BANK OWNED Centerburg Ohio horse farm / mini farm with nice fenced pasture, 6 acres of land, barns, garage, court yard, spacious country farm house featuring 4 bedrooms, 2 full baths, over 2300 square feet of living space, filled with charm and character, located between Centerburg and Sunbury in Northrodge School District. More information here. Contact The Sam Miller of REMAX Stars Realty at (740) 397-7800. An exceptional value on a Mount Vernon Ohio country home with 2.91 acres of land. This home was originally listed for $140,000 and it was just reduced on 1-31-2012 to $100,000 for a fast sale. More information here. The sun has been shining on the Knox County Ohio local market lately and home sales are on the rise. This past October we saw an increase of roughly 30% in monthly home sales compared to October 2010. What is really interesting is that we saw an increase in home sales during a time of year when the housing market traditionally begins to slow down following the summer market after school starts. This recent increase in Knox County Ohio home sales bucks the market trends and sales statistics over the previous 5 years. Knox County Ohio and most specifically the Mount Vernon community and at the Apple Valley Lake experienced the biggest increases in showings, online website viewings and homes sales during this past October. The number of agressively priced homes has reached record levels with an amazing selection to choose from. When you combine an extensive selection of available homes, much lower home prices and some of the lowest and most affordable 30 year fixed interest rates in nearly 60 years...you have the perfect conditions for first time homebuyers to enter the housing market. When first time buyers purchase their first home they enable that homeowner to sell their home and purchase a replacement home. This is a very important factor that is helping drive the current housing market and it helps explain why our market experienced a 30 percent increase. I believe as this trend continues that we could continue to see similar increases in monthly home sales as more and more first time homebuyers discover that they can purchase a nice and affordable Knox County Ohio home with very little money down using FHA and OHFA financing. In many cases we can help homebuyers buy with absolutely zero down payment when they qualify for Rural Development, USDA or VA loans. With low interest rates and home pricing so low many buyers can buy a home and have monthly payments that are as low if not lower than what they are paying each month for rent. If you are interested in buying a home and taking advantage of the opportunities and savings that are available TODAY be sure to contact us at (740) 397-7800 or feel free to register online at "I want to buy a home". Home values today are down from the housing peak of 2006. What is interesting is that our real estate taxes in Knox County Ohio haven't exactly followed that trend and in many cases remained at those higher values. This created some frustration for many property owners because many folks knew they were paying their real estate taxes based n inflated tax appraisals. 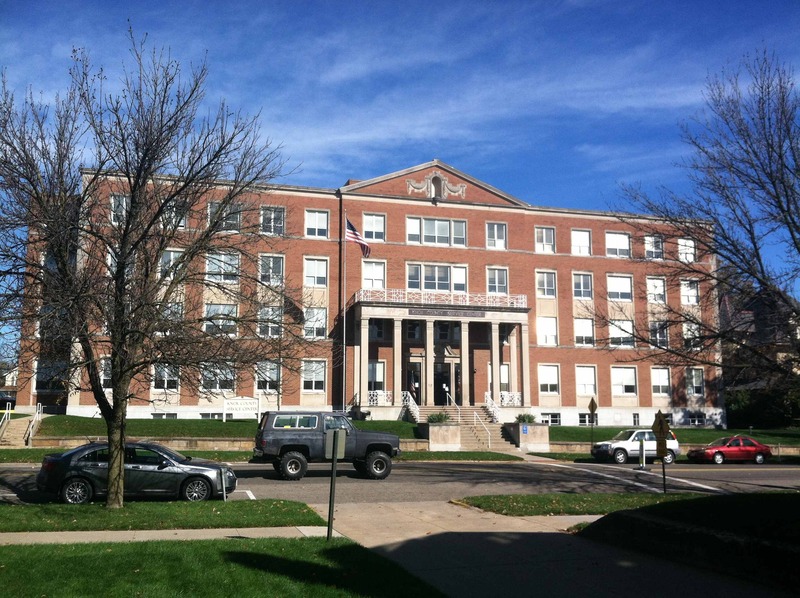 I have some good news for Knox County...the majority of residential real estate taxes in Knox County Ohio are about to benefit from a reduction. Tax values will decrease by 6% decrease on all residential classed parcels with the exception off any parcel having new construction. This a sign that the Department of Taxation is actually listening to those who have posed concerns about their home values as compared to their tax appraised values. It appears that a 6% decrease calculation was applied to most residential tax appraisals which means that the majority of property taxes will decrease when you pay your tax bill. The information below is an account of the letter I received from the Knox County Auditor's Office which does a great job of answers most questions. This change in value notice is being sent to inform you of your new real estate value for the 2011 tax year. As required by Ohio Law, the County Auditor is charged with the duty to update values during the third year after a county wide reappraisal. This process is called the Triennial Update. A Triennial update is the process of reviewing sales and not actually viewing each property. The 2011 Triennial update looks at sales from 2008, 2009 and 2010. After receiving a recommendation from the Department of Taxaction and reviewing arms length sales, a 6% decrease on all residential classed parcels was made with the exception of any parcels having new construction. If your property is reduced because of the Current Agricultural Use Value program (CAUV) that new value is also included as a notation beneath the market/taxable values. CAUV soil tables can be adjusted every three years along with the County's Triennial Update and Reappraisal. These tables are adjusted by the State of Ohio Department of Taxation. Every property owner is encouraged to review their property's total value. 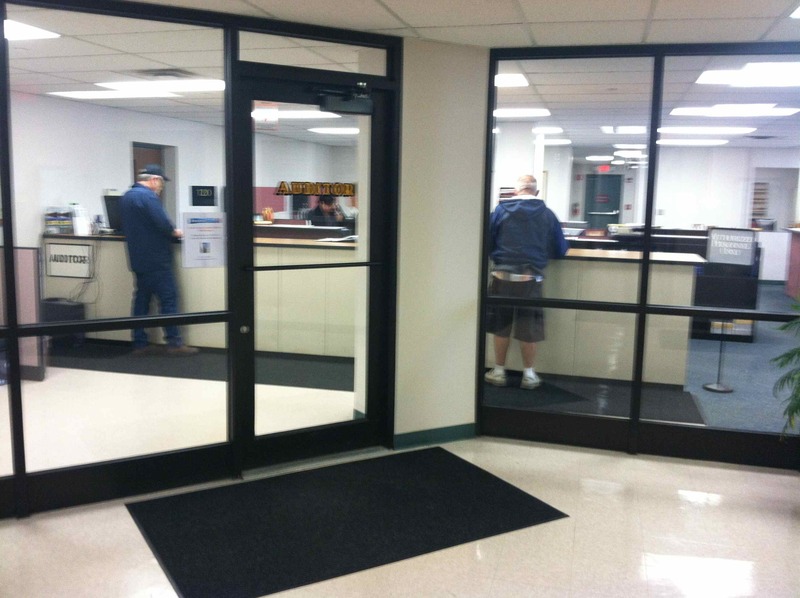 You can access your property record card to review parcel information on our website at www.KnoxCountyAuditor.org. We will have open books until October 28, 2011. At the completion of the open book period our values will be sent to the state for final approval. After that time if you disagree with your property values you will have the option to file a complaint form through the Board of Revisions (BOR) process from January 1, 2012 to March 31, 2012. If you have any questions, you can contact our office at (740) 393-6747. 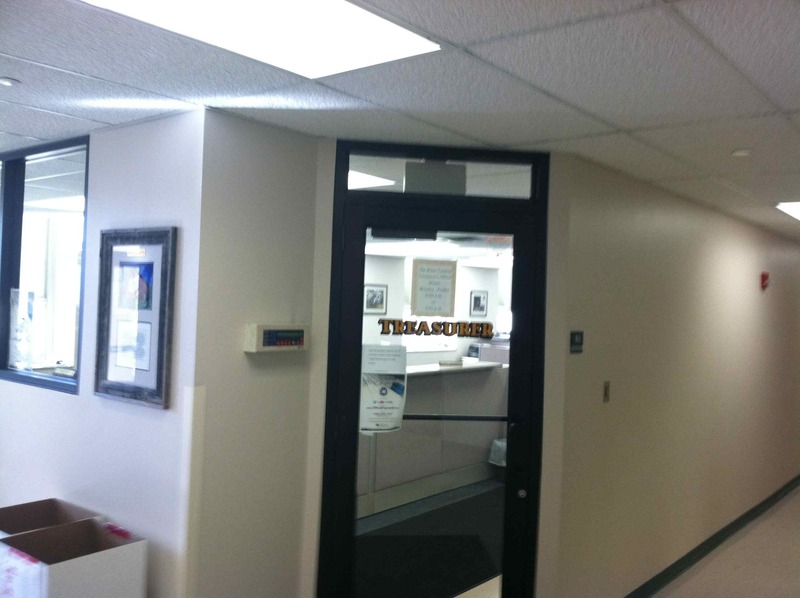 Our office hours are Monday-Friday, 8am to 4pm. If you would like to compare your home with other local homes for sale feel free to visit our listing link which contains all of our available Knox County Ohio homes for sale and we even organized them in price order to make it easier for you to view. The Tomato Show in Fredericktown, Ohio has a little something for everyone. The Tomato Show is a small town street fair with a community parade, fair type amusement rides, food vendors, entertainment, a 5K run and some exciting competitions featuring local residents. Some of my favorite featured activities are the bathtub races, the tomato toss, the lip sync contest, baby crawl races and the pedal tractor races. There are arts and crafts and it is a great place to meet up with friends in a relaxed and casual atmostphere. The Tomato Show is always held the first Wednesday - Saturday after Labor Day. 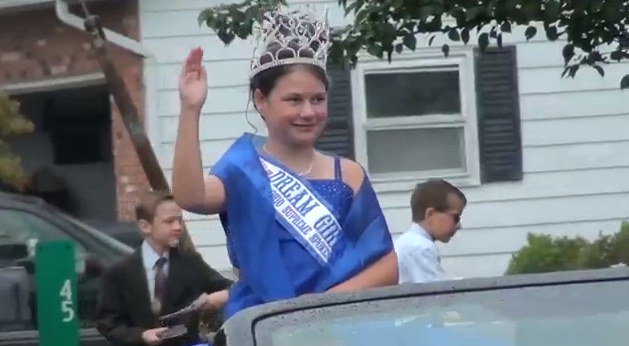 Below we have featured a one minute video highlight of the Saturday Fredericktown Tomato Show Parade. We also created a video highlight of the Tomato Show activities including the bathtub races, tomato toss, fair rides and some other fun activities. This community highlight is part of our ongoing series titled 365 Things To Do in Knox County Ohio. You can also view all of our available Fredericktown Ohio Homes For Sale. 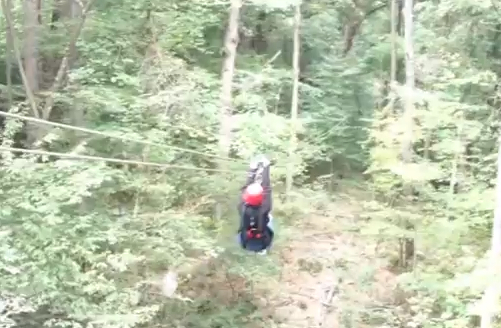 Ziplining through the trees is exciting!!! Tree Frog Canopy Tours on 21899 Wally Road in Glenmont, Ohio is a fantastic place to experience ziplining and it's just 20 to 25 minutes North of Mount Vernon, Ohio. Tree Frog's Canopy Tours has over 4,000 feet of combined zipline length that takes you on an adventure through the tree tops by means of zip lines, sky bridges and rappels connected to platforms suspended in the tree tops. If you love the outdoors and are looking for a little excitement this place should at the top of your list especially if you enjoy extreme thrills because some of these ziplines are FAST. This feature article is part of our ongoing series titled "365 Things To Do in Knox County Ohio". Feel free to view our previously featured community amenties and attractions by visiting 365 Things To Do in Knox County Ohio. August 2011 home sales in the Knox County Ohio MLS were up for the month. According to our local MLS, there were 52 residential home that sold ranging in price from $19,500 to $360,000. The average sales price for a Knox County Ohio home that sold in August was $123,858 which is up from July which averaged only 35 homes sales. 52 home sales compared to 35 is a significant increase and a positive sign. A side benefit for existing sellers who have their homes for sale is that the increased August homes sales removed 52 competing homes from the market. This creates more opportunity for those who have their home on the market today and increased their changes to sell their home this year. If you are in the market to purchase a home be sure to check out our amazing selection of available homes by visiting Knox County Ohio Homes For Sale. 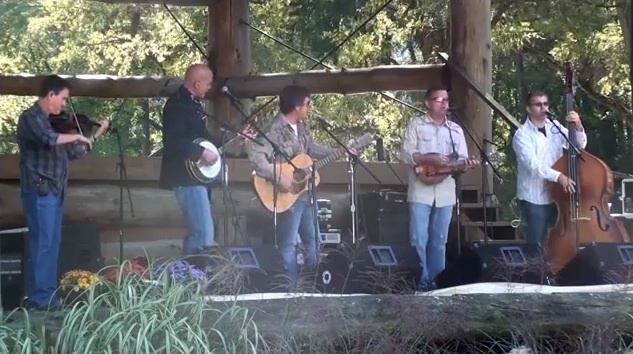 The Mohican Bluegrass Festival is a very popular entertainment attraction in Knox County Ohio. 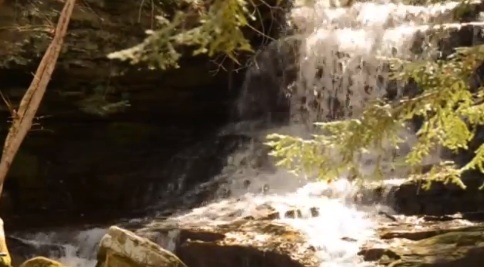 The annual the Mohican Wilderness Campground on 22462 Wally Road in Glenmont, Ohio 44628. 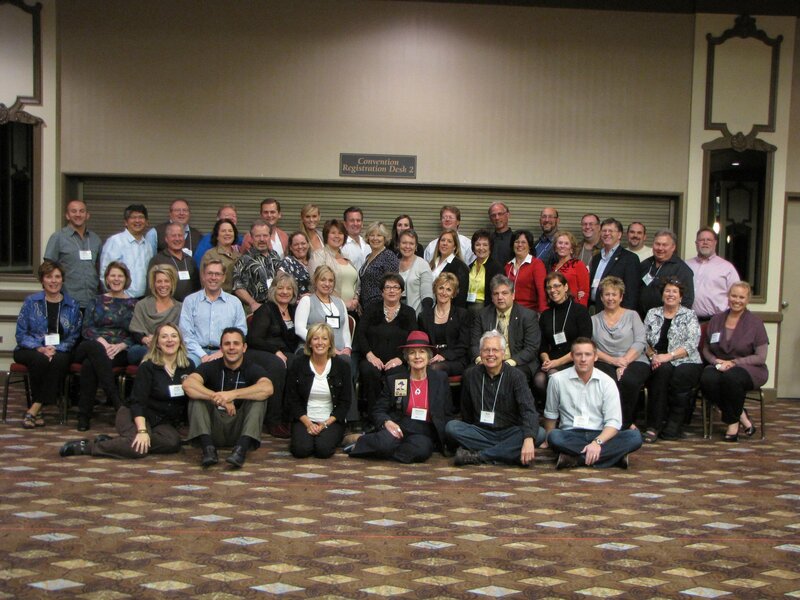 This year the event took place on September 15th - 17th and attracted many from outside of our community. The Bluegrass event helps to promote high school bluegrass bands and the festival is well attended. It is a family type festival. There are food vendors, camping, a huge log stage, gorgeous river-front campsits and lots of fun and recreation. This feature article is part of our ongoing series titled "365 Things To Do in Knox County Ohio". If you would like to view our previously featured articles be sure to visit 365 Things To Do in Knox County Ohio.